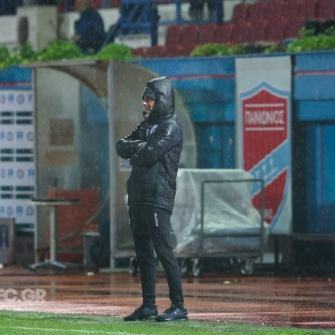 Răzvan Lucescu opted for a line-up full of young players, fielding only two of those who started against AEK Athens. 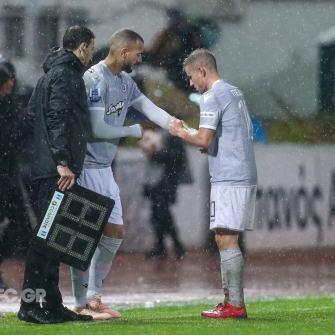 He also gave Sérgio Oliveira, Ingi Ingason and Pedro Henrique the opportunity for their first match for PAOK. 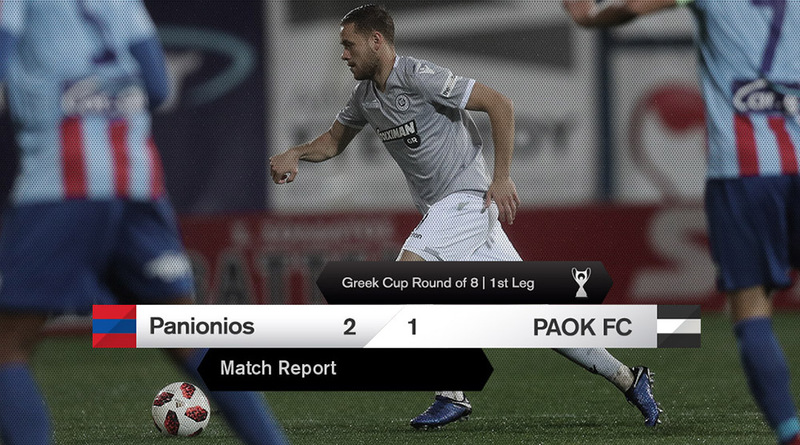 Despite the changes, PAOK put on a fine performance for 70 minutes, took the lead and were rarely threatened by Panionios. 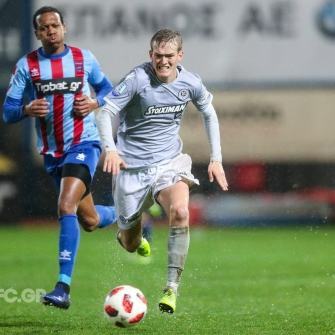 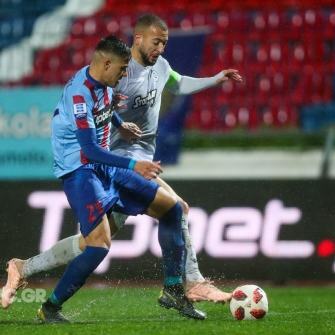 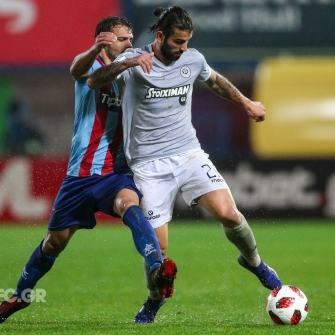 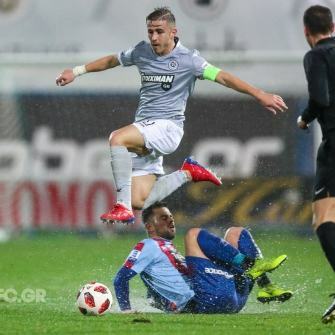 The Blue-and-Reds made the best of two defensive slip-ups of PAOK in the last stretch of the encounter: three efforts on goal, two goals and an advantage in the tie before their visit to Toumba Stadium. 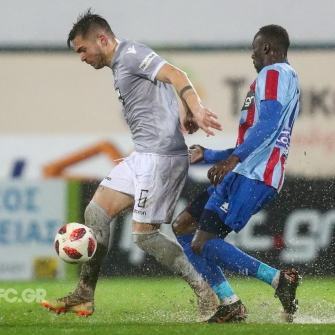 The “Double-Headed Eagle” stormed out of the gates, despite the unplayable rain-soaked pitch, and came close to an opener on various occasions. 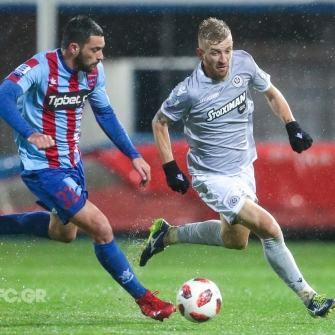 Both Dimitris Limnios and Ingason wasted two opportunities each to score. 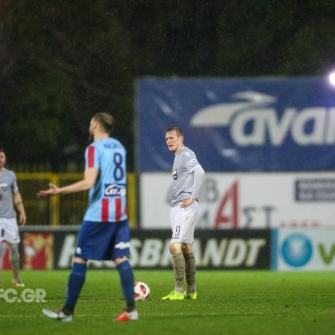 Kotnik reacted well and kept his goal intact until the interval. 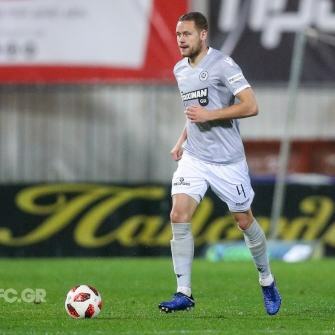 Karol Świderski was the one to break the deadlock for PAOK in the 57th minute, with a double effort and after initially hitting the woodwork. 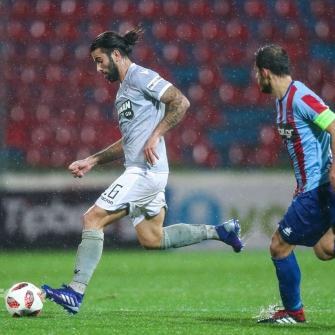 Lucescu’s players kept on the pressure and came close to a second goal with Pedro Henrique. 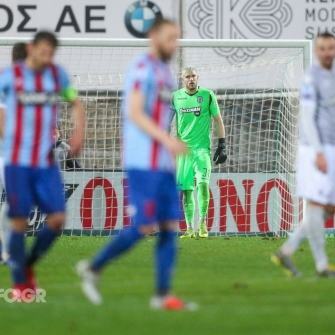 In the last 20 minutes, the Nea Smyrni outfit went for broke in order to turn the match around. 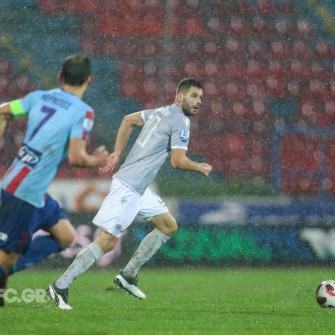 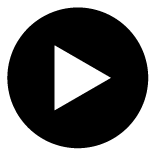 They were rewarded in the 74th minute, when Durmishaj equalized from close range. 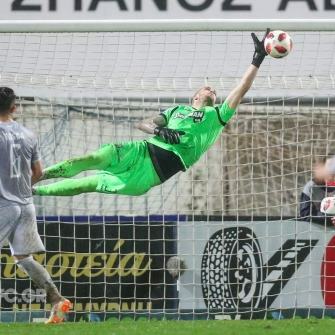 Alexandros Paschalakis reacted impeccably in the 87th minute to deny Spiridonović. 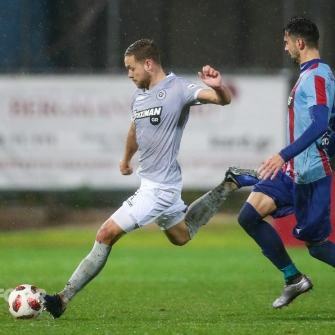 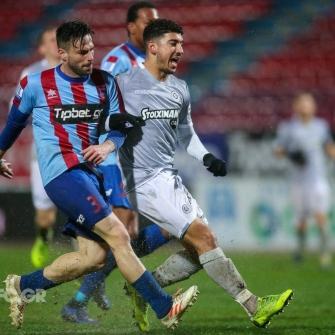 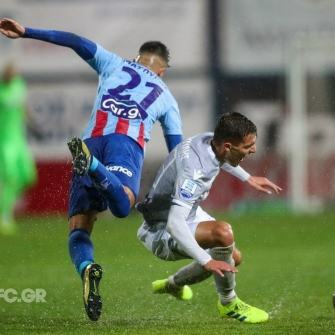 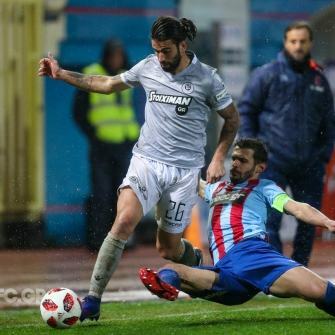 He failed to clear the ball though four minutes later and it landed at the feet of Stavropoulos who sealed Panionios’s 2-1 victory from up close. 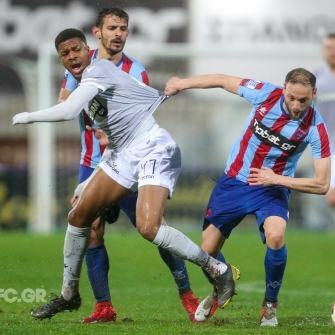 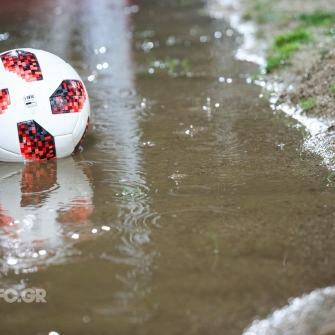 Qualification will be decided in 20 days, in the Toumba leg. 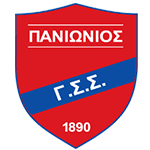 Panionios: Kotnik, Papageorgiou (67’ Maksimović), Saramantas, Stavropoulos, Domingues, Korbos, Kurdi (77’ Camara), Makryllos (67’ Spiridonović), Tsiloulis, Μasouras, Durmishaj. 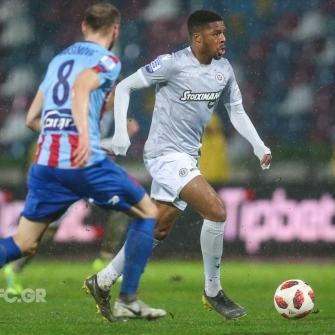 PΑΟΚ: Paschalakis , Lyratzis , Ingason , Toșca , Giannoulis , Shakhov (63’ Mišić), Οliveira, Limnios , Pelkas (73’ El Kaddouri ), Henrique (80’ Akpom ), Świderski.